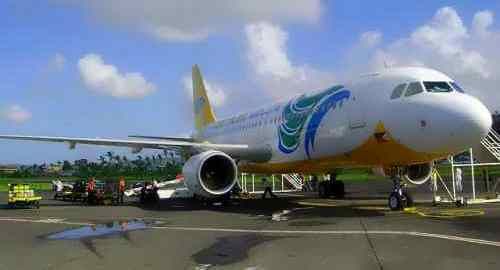 " Cebu Pacific: Shining Budget Carrier "
"Sound Choice For Affordable Flights In Asia"
Cebu Pacific is a shining budget carrier that meets your simple-to-elegant travel measures. 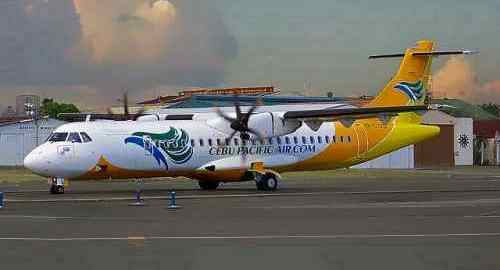 It currently dominates the domestic Philippine aviation market. It also flies an all-Asia international coverage. The airline was established in 1988 but only started operations in 1996. It was subsequently acquired by JG Summit Holdings of the Gokongwei family. It is headquartered at the Ninoy Aquino International Airport in Pasay City, Philippines. Its other hubs are Mactan-Cebu International Airport, Francisco Bangoy International Airport (Davao) and Diosdado Macapagal International Airport (Clark, Pampanga). You can avail of their low fare flights in their 34 domestic routes and 17 international routes in 12 countries. I’ve tried their A320 on a Cagayan de Oro flight in 2010. No meal was served except the candies… clearly one reason for the cheap fare. You can avail of the airline’s fleet of 37 aircrafts with an average age of 3.2 years for your travel Manila plan. Currently, it has 10 Airbus A319-100s, 19 Airbus A320-200s and 8 ATR 72-500s. It has ordered 55 more aircrafts… 30 Airbus A321neos, 23 A320-200s, and 2 ATR 72-500s to answer the increasing demand for flights to Manila. As provider of cheap flights to Manila, the airline lets you receive your ticket by e-mail… only they are doing it in the Philippines. It also offers cheap year-round "round trip" fares if you book your flights months ahead. It partners with Metrobank Card Corporation for its Go! Mastercard credit card which offers frequent flyer reward points. Its slogan is “It's Time Everyone Flies”. The airline is now looking at the possibility for long-haul, low-cost expansion in Asia. They see 2.5 million Filipinos in the Middle East and 4 million in the USA as the market. Long-haul flights are carried by wide-body aircrafts (i.e. Airbus A380, Boeing 747-400) over long distances beyond 6.5 hours and usually non-stop flights. They deliberate on the acceptability and examine their capability. What they are seeing ahead is that the long-haul, low-cost expansion can enhance their brand. Cebu Pacific is a shining budget carrier that meets your simple-to-elegant travel measures. It currently dominates the Philippine aviation market. It is the leading budget airline in the Philippines, serving the most domestic destinations with the most flights and routes, and with the youngest fleet. It flies an all-Asia international coverage. It can provide you cheap flights during your visit Philippines stay and in your other trips in Asia.